GRAINCORP estimates the amount of feed wheat created by heavy rain in the past week is likely to be absorbed domestically by the feedgrain market in Australia’s eastern states, where a northern deficit continues to keep tonnage away from export. 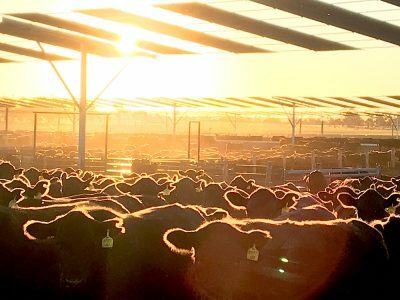 Trade sources agree, but feel weather-damaged grain is unlikely to start making its way north before the New Year, when feedlots and stockfeed millers in Queensland and northern NSW will be looking to book further coverage. Queensland has been running a feedgrain deficit since August, when the impact of poor yields from the 2017 sorghum crop, combined with failing prospects for wheat and barley crops, forced buyers to look to southern NSW and beyond to fill requirements. GrainCorp said downgraded wheat and barley from southern areas would now help to fill the void. 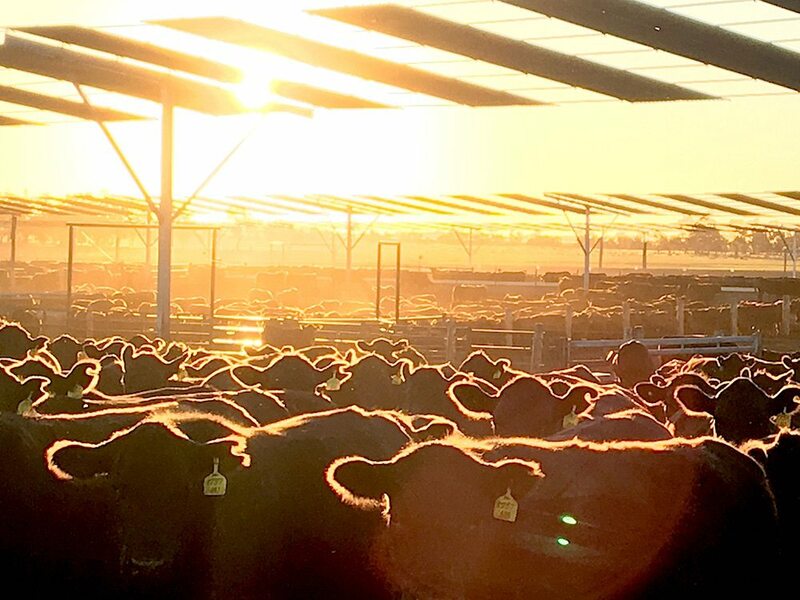 It cited the Australian Lot Feeders’ Association’s September quarter cattle-on-feed numbers of more than one million head, and an improving outlook for dairy, as being further drivers of demand. As the quality profile becomes clearer, GrainCorp said it was possible to see domestic consumers switch from low-grade milling wheat grades such as ASW into a higher proportion of feed grades. ACCB Australia broker, Andy Cunliffe, said sorghum’s discount to wheat in the southern Queensland market has been little affected by the rain. “Sorghum’s been at around $262 a tonne delivered Darling Downs March-April for the past two or three weeks, and wheat’s stuck in that $320-$330/t range,” Mr Cunliffe said. By January, the market will also have a handle on the health of the recently planted sorghum crop, which ABARES has penciled in for 2 million tonnes. Feed barley is currently trading in light volume at a $5-$10/t discount to wheat to reflect the tight supply of recent months, which has narrowed the spread to wheat from the $20-$30/t seen in years when the northern market was self-sufficient. Mr Cunliffe said the ability of growers to store, blend and dry grain would also affect cash prices. Igrain general manager strategy and development, Duncan Whittle, said the future for wheat and barley that fails to make feed specifications was uncertain. “What’s still standing in the paddock may not make F1 specs, and what we have seen is a slight pullback in feed demand zones for sorghum, wheat and barley, while sound F1 and APW plus grades have gained,” Mr Whittle said. Mr Whittle said these concerns had seen prices for ASW wheat in the Riverina firm in the past two weeks to reflect the willingness of end-users like the poultry industry to stop local grain from heading north. He said price prospects for cereals harvested before the rain were firming. In a grower alert issued yesterday, GrainCorp said it would be opening additional segregations at sites in southern NSW and Victoria to accommodate wheat and barley downgraded by recent rain which has stopped harvest in its tracks. GrainCorp said crops in far southern NSW, and northeast and central Victoria, were likely to suffer the most damage from the rain, and falling number machines would be deployed at selected sites in weather-affected regions to determine grain quality. In its December 5 daily market report, Lachstock has estimated up to 850,000t of grain could be affected in NSW alone. Once harvest resumes, GrainCorp said it will have a firmer indication of quality, and will inform growers via its text-messaging service and CropConnect of which segregations were to be available at specific sites. GrainCorp has said it would be conducting routine load assessments of canola at the sample stand to ensure deliveries are in line with Australian Oilseeds Federation standards and within tolerances. Due to increased storage risk of contamination of grain already in the system, it has advised it would be unable to accept weather-damaged, sprouted and green canola. These risks include moisture migration, development of mould and ultimately higher combustion potential.